The Siege has begun! 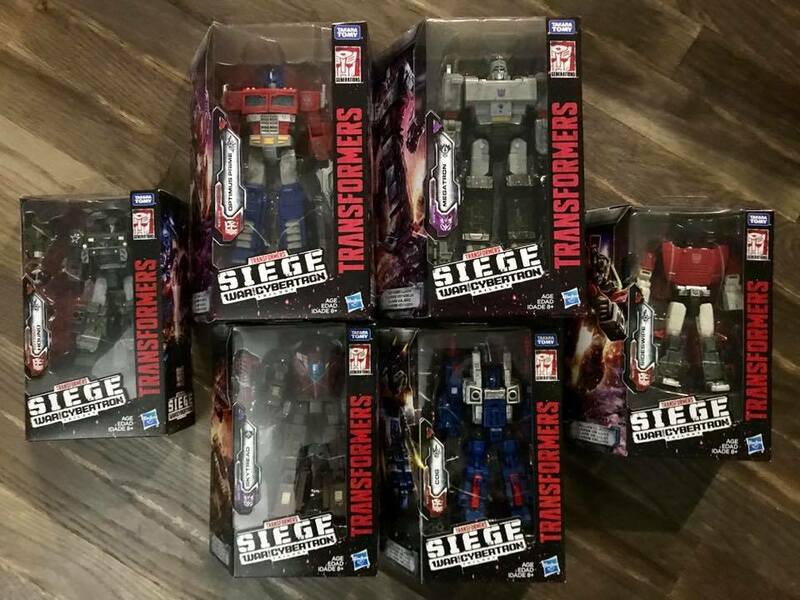 Transformers Siege is starting to hit US retail, with Deluxe and Voyager Wave 1 following hot on the heels of the recent sighting of the Battle Masters. TFW2005 member Hurleychris07 spotted the six new toys in a Target in Virginia. Deluxe Wave 1 sports new versions of Hound and Sideswipe, together with Weaponizer Deluxe Cog and the much-demanded Decepticon Skytread / Flywheels. Voyager Wave 1 gives us new versions of Optimus Prime and Megatron. Both assortments have some of the coolest looking and most articulated Transformers from recent memory. This is awesome news and we wish &#187; Continue Reading. The post Transformers Siege Deluxe and Voyager Wave 1 Released in the US appeared first on Transformer World 2005 - TFW2005.COM. Crap. I still haven't found Outback and Cindersaur.